We started a new project called Jengo. Jengo is a mobile application, which allows users to sketch a 2D or 3D plan of a construction, position and orient the resulted floor plan on a map based interface. The translation of Sahana Vesuvius software has been begun. We are now an Ltd.
Compet-Terra Organising and Consulting Ltd.
Compet-Terra was founded in 1996 with the explicit objective to become a significant, recognized market player who establishes and provides a link between authentic consultants, local knowledge centres and international specialists in the field of spatial informatics and land management. Our activities focus on increasing the capacity to absorb novelties in spatial related segments of information technology. We live and work in the same environment as our clients. We think and feel the same way: stimulating the economy of our environment is a common interest. Therefore, implementing project ideas is not only a professional challenge for us but it is also also a joint undertaking. Corner stones of our operation: high professional quality and technological independence. While working on a given task we solely act in line with the interests of the case we are in charge of, we always apply the technology which is the most rational, innovative and economical in the given situation. Our activities are based on information; continuous learning and informing others is a significant area of our work. New knowledge, rendering up-to-date information and ideas is grease for the engine of innovation and economy. In our market segment the high level of professional knowledge lies within our interest and therefore we support the development of our partner organisations. Our business conduct is based on honesty and impeccable trade practices. Understanding the professional role, situation and objectives of clients. Mapping up challenges and problems in a reasonable manner, finding tools and ways to address them. We place the bar high. 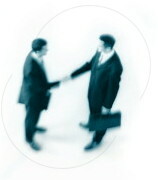 Effective consulting work is based on trust; expertise, honesty in business, impeccable trade practices are essential. Continuous learning and self-education. Processing experience and innovative solutions, ensuring publicity for them. Objective cooperation, exclusion of interests beyond the project. "During the 14 years since the establishment of our company we sought quality, not quantity. What we have undertaken we have completed entirely."